In St Mark's we value the importance of Physical Education to develop children's physical competence and confidence. We promote positive attitudes towards active and healthy lifestyles. We have an Active School Committee comprising of teachers, pupils and parents who meet regularly and decide on ways to improve activity level of the pupils. Our Active School Plan comprises of action at home called 'Awesome Action' twice a week. We use ' Go Noodle' in classes on wet days and also in between subjects in order to keep active. We have 'Yard Award Incentives' which earn passes extra yard activity time. We have an Active School Week in May/June each year. During this week children engage in Orienteering; Sports Days; Drop Everything and Dance; a walk/run over the course of the week and we focus on Healthy Eating for an active school life. 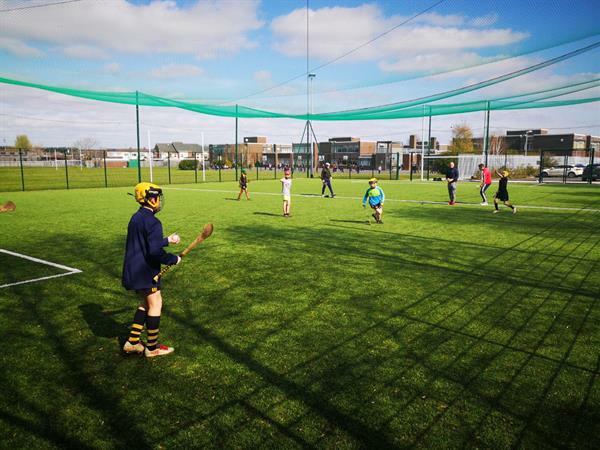 Our sports facilities provide opportunities for our children to be creative, competitive and help them to face up to different challenges both as individuals and as a member of a team.